Piñatas have been around for ages. 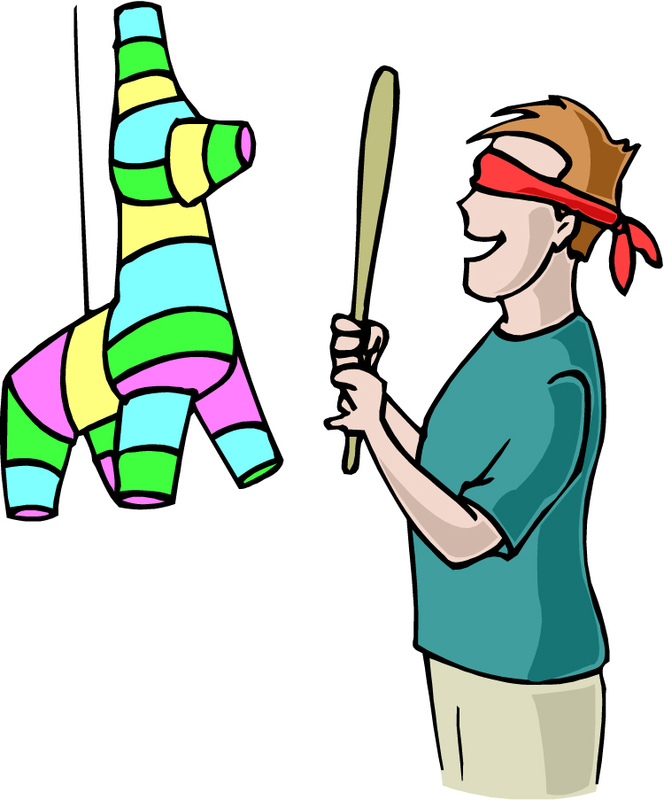 Most people identify piñatas as being of Hispanic heritage. They actually originated in China, around the 16th century. They were colored with bright and vibrant paper and decorated in many different ways. This was to greet the New Year in China. They would then knock the figures with colored sticks and seeds would spill everywhere. Thereafter the remains of the figures would be burnt and people would gather the ashes produced for good luck in the New Year. These customs were passed on through Europe, particularly Italy, where it became a tradition during Lent. Italians would put goodies inside of pots and break them. These pots would resemble popular foods such as Pineapples. Inside these clay pots were candies, jewelry and often other trinkets. People would take turns striking the Piñata and when it would break, people would rush out to claim their winnings. This activity grew popular and spread through Europe and it eventually spread to Spain. Originally the Piñata symbolized Satan, as it was made to be bright and beautiful to lure innocent people into touching it. The candies, fruits and nuts within represented the temptation of the Devil. 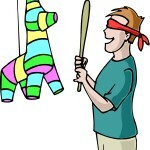 The stick used to hit the Piñata represented the goodness to fight this evil and the blindfold represented blind faith. Once the Piñata broke and let out the goodies, the goodies represented a just reward. The message brought forth was that all was justified through faith in God. The Spanish brought this custom to Mexico. The Aztecs willfully adopted this activity because it was oddly similar to a custom they already practiced. The Aztecs decorated clay pots of their own and filled them with treasures to celebrate the birthday of the god of war. The Aztecs would beat the clay pots which was strung in front of an image of the god of war and the treasures would fall to the feet of the image as an offering to him. Maya Indians also used piñatas but they used them as more of a game. The blindfolded each other to make it more of a sport as the Mayas were very sport-oriented. As the custom evolved in Mexico, artists began to make the piñatas in their own ways, decorating them into objects of their own heritage and using cardboard and paper mache to do so. Today, few people know the original meaning of the Piñata but are mostly used as a fun activity to celebrate birthdays and the Christmas season in Mexico.